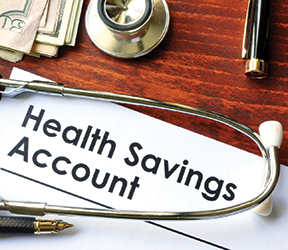 Many employees are unaware of the triple-tax advantages of their Health Savings Accounts (HSAs), despite some insurance companies reporting that they’re experiencing double-digit growth in this segment. A recent study shows that only 25 percent of employees with access to an HSA are using one, mainly due to a lack of knowledge when it comes to planning and estimating healthcare costs. With healthcare costs top-of-mind for consumers, employees may see an upward trend in this health savings option as employers shift gears towards offering this benefit. Employer contributions may be excluded from employees’ gross (taxable) income. Balances within the HSA can grow tax-free (and be carried forward each year). 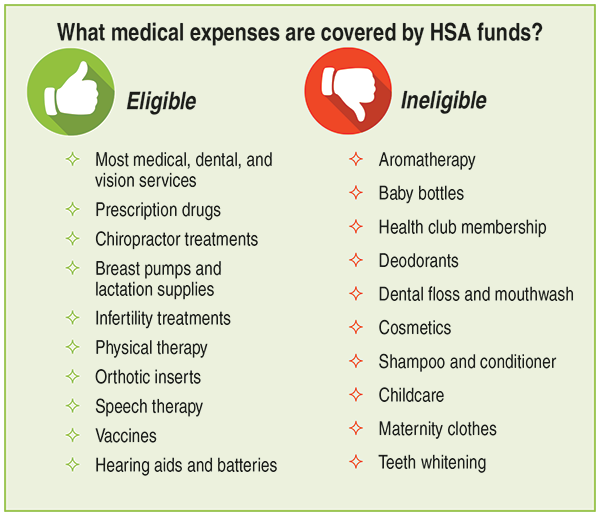 Money for qualified medical expenses can be withdrawn tax-free from the HSA. Programs such as HSAs are designed to give individuals tax advantages to offset healthcare costs. 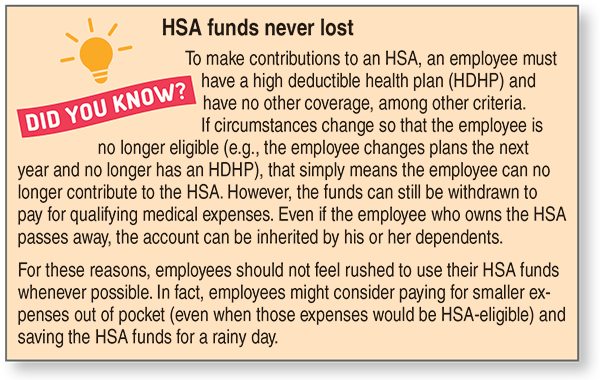 Any eligible individual can contribute to an HSA — the employee, the employer, or both may contribute. What some employees may not realize is that contributions remain in the employees’ accounts until they use them, and an HSA is “portable,” meaning it stays with employees if they leave the company. Once someone reaches 65, they can withdraw HSA money for any expenses without a tax penalty. Those under 65 would have to pay a penalty for non-medical withdrawals. To be eligible, employees must have a High Deductible Health Plan (HDHP). Generally, employees may have no additional health coverage. If you make contributions to your employees’ HSAs, you deduct the contributions on your business income tax return for that year. If the contribution is allocated to the prior year, you still deduct it in the year in which you made the contribution. Most employees who could be contributing to an HSA are not. More education is needed as the HSA trend continues in the light of rising healthcare costs. This article was featured in the BottomLine Benefits & Compensation Newsletter. The BottomLine Benefits & Compensation Newsletter helps you stay up-to-date on news, trends and regulations that affect your company's compensation and benefits programs. Delivers quick-read highlights on critical compensation and benefits issues that affect your organization and your bottom line. Click here to sample this newsletter for free or view our full library of HR compliance publications.